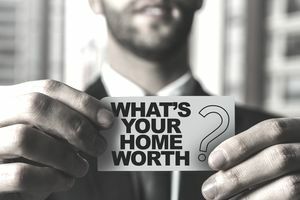 When working with sellers to determine a listing price or with buyers to check the value before offers to purchase, real estate agents do what is known as a comparative market analysis, or a CMA. By going to sold property records, the real estate professional selects recently sold properties that are similar to the subject property and in the same geographical area. By comparing these properties, and adjusting for feature differences, an estimate of value is made for the subject property. However, a thorough real estate professional will do a second different CMA for a seller or a buyer. A second thorough CMA would include comparisons to currently listed similar properties in the area. The same process would be used, but with currently listed properties. This would allow an assessment of the current competition and might lead to an increase or decrease in the estimate based on the sold properties. Crucial to a CMA's accuracy in determining market value is the selection of the best comparable properties. Three agents choosing even one different comparable out of three or four used can come up with some very different valuations. This happens a lot when a seller is shopping for a listing agent. They get a value estimate from several agents and they're surprised at the differences. Unfortunately, often the one who gives them the highest number is the one who gets the listing, and usually, it's not a good number. When the property sold: Sales more than two or three months in the past are not good comps, especially in fast-moving markets. The more recent the sales the less likely that the market has moved enough to make the properties' sold prices irrelevant at the time of the CMA. Where the property is located: The very best situation is that the home is in the same subdivision. That's not possible in a lot of cases, so the next consideration is locating comps in the same neighborhood or general area. When you can't get suitable comps that way, very similar homes in similar subdivisions in other parts of town may be the only resource available. Characteristics of the home: When it comes to the number of bedrooms, baths, the square footage of the home, the size of the lot, and other features of the home, the comparable homes should be as similar as possible. It's rare, except in large cookie-cutter subdivisions, that you'll get all of these things to compare exactly. That last item above brings us to a discussion of how we compensate our calculation for differences in the structures. We make adjustments, much like those of appraisers, to adjust the sold prices of the comparable homes to better match our subject property. In other words, if we have a 3 bedroom, 2 bath home with a two-car attached garage, and 2100 square feet of living area, we'll try to find three or four comps with all of those features the same. However, we rarely will, so we'll need to make adjustments to their sold prices. Let's say that one comp only has two bedrooms. We must assume that it would have sold for more money with three, so we'll be adding some money back to its actual sold price to adjust it to having had three bedrooms. The same goes for baths and garage spaces. If it is the other way, say three bathrooms when our subject home only had two, then we would subtract the value of a bathroom from the sold price in our adjustment. We don't need to do anything with the square footage until we do our calculation final. Once we've adjusted our comparable homes sold prices, we divide each sold price by their square feet to get the sold price per square foot. We average those for our three or more comps to get one average value per square foot. Then we simply multiply that by our subject home's square footage to get our estimated current market value. There you have the big picture of doing a CMA, but you'll want to dig in and learn more and practice before doing them for clients. What are Real Estate Encumbrances?